Fort Myers and Naples are beautiful areas that attract tourists year-round. We also have a higher number of motorcyclists on our roads and highways, which many see as a great way to take in the Florida landscape. Unfortunately, motorcycle accidents occur more often as a result. In 2016, Florida had the highest number of motorcycle fatalities in the United States. These crashes often result in death or severe, irreversible injuries and take a toll on everyone in the community. 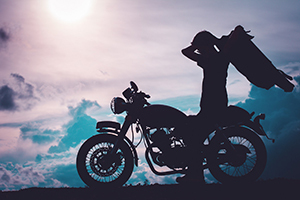 Motorcycle crashes can be caused by any number of factors including wildlife, drunk driving, distracted driving, and reckless driving on the rider’s part or another driver on the road. Our attorney has seen how devastating these incidents are on surviving family members and injured victims and has fought on their behalf for decades in Naples and Ft Myers. The National Highway Traffic Safety Administration (NHTSA) published data about motorcycle fatalities by state in 2016 as did A Safer Florida: Highway Safety and Motor Vehicles Traffic Crash Facts. The results showed a shockingly high number of deaths not only in Florida but in Lee and Collier Counties as well. 586 people died in motorcycle accidents and related injuries in 2016. 288 of deceased riders were wearing a helmet. 283 of deceased riders were not wearing a helmet. The nonprofit organization Accident Scene Management (ASM) is dedicated to reducing injuries and deaths caused by motorcycle accidents. They’ve trained 30,000 people and 100 instructors across the United States on motorcycle trauma and what to do after a severe crash. ASM recommends PACT: Prevent further injury, Assess the situation, Call the EMS, and Treat the injured. Once your injuries have been treated and a police report has been filed, it’s a good idea to contact our motorcycle accident attorney at The Kelleher Firm in Fort Myers and Naples to make sure you receive full compensation for your injuries and property damage. If you or a loved one has been injured in a motorcycle accident, contact our attorney in Fort Myers and Naples today at (833) 546-3675 for your consultation. “Jim for Justice” serves clients in surrounding areas of Southwest Florida.